Basic ingredients: New premises herald a new venture in the Chequers kitchen where the skills of the Swiss-trained South African head chef Pieter van Zyl combined with the business acumen of Stephanie Hayman form a well balanced partnership offering a range of cookery classes for anyone prepared to don an apron. Courses include one-hour Saturday morning skills sessions – a snip at only £15 – which introduce students to techniques such as de-boning and butterflying a leg of lamb. In addition there are workshops on Indian food, Swedish baking and a Wild Fennel Morning foraging. Hands-on workshops are priced very reasonably with few classes costing more than £75 for up to four hours. Five-day student courses and guest chef classes – look out for spice-master and ‘Creative Foodie’, Deirdre Fenney – are priced accordingly. A branch of the school – Cinque Ports Community Kitchen – is run as a social enterprise and its Keen2Cook project provides the opportunity for local people who may be disadvantaged or on a low income to learn how to cook healthy, low-cost meals. The school also offers corporate classes, hen parties, and wine tasting events. They say: Behind the scenes we are on a mission to change the eating habits of East Kent! We do that by teaching people to cook from scratch with fresh ingredients. Whether you are a beginner or an experienced cook, we hope you find a cookery class to inspire and enthuse you. We say: As well as being a great place to brush up your baking and butchery skills, cookery schools can provide the perfect platform to help people who struggle with basic kitchen skills and nutrition. Stephanie Hayman has not only recognised this but acted on it. In 2013 she won Kent Life and Kent on Sunday’s Fine Food and Drink Hero award for her work in raising the standards of school food in East Kent through a community interest company, Whole School Meals. Brava! 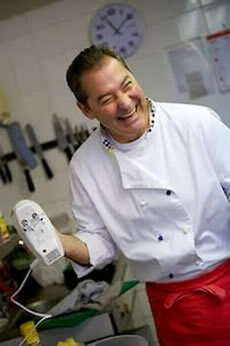 Chequers Kitchen Cookery School is a great concept and run by passionate and hard working people too. Would be good to offer basic cooking lessons for adults in the future. Fingers crossed. My son (aged 10) did the cookery lessons after school at Chequers Kitchen on a Wednesday. He really enjoyed the time learning in the kitchen and he can’t wait for the new term to start this week. He definitely learnt lots and the experience has really inspired him to try cooking out at home.